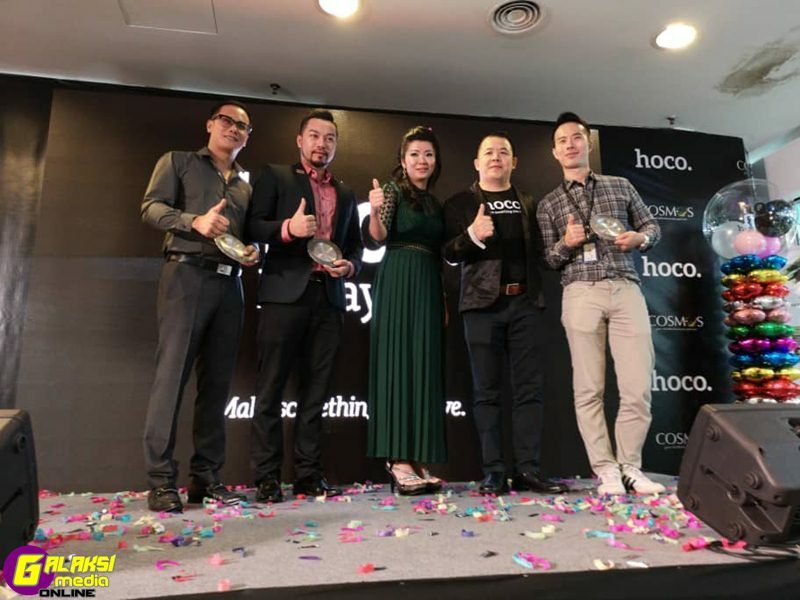 “hoco.” is an international premium lifestyle accessories brand from Hong Kong Haoco (hoco.) Technology Co., Ltd, which is dedicated to the development of high-quality digital accessories. Established in 2009, the young company focuses on the development and production of digital products with simple design philosophies, to create exquisite digital lifestyle products. Gracing the launch event was brand principal and Hong Kong Haoco (hoco.) Technology’s General Manager, Gavin Ou and Cosmos Online Sdn Bhd’s Chairman Choong Sang Joo, Joining them at the official ribbon cutting ceremony were Lotyat Plaza’s Marcom & A&&P Manager, Raymond Foo and a representative from Malaysia Mobile Communication Association (PPTM). “hoco.” is targeted at the mid to high-end market with a significant product range, and is user-friendly in design, fashionable and comes with excellent build quality. If you are looking for exquisite, “hoco.” makes it for you. Its products include accessories for Apple, Samsung, HTC, MEIZU and other major brands. 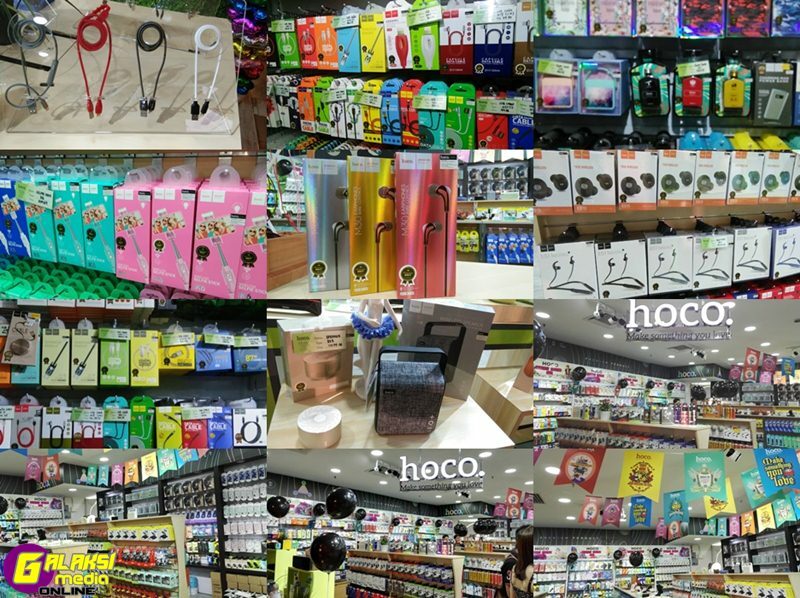 “hoco.” has also established an excellent reputation in China, Hong Kong, Taiwan, Southeast Asia, North America, the Middle East, Europe and other regions across the globe, and has become a leading brand in the digital accessories market space. According Gfk (Growth for Knowledge), Germany’s largest market research agency, pointed out that Malaysian consumers spent a total of 2017 to buy mobile phones. Stanley Kay, Gfk’s Managing Director for Southeast RM6.8 billion in said that the company’s retail tracking system data showed that it was significantly higher than the RM5.4 billion spent by Malaysian consumers in 2015. Despite the growth, the industry faced enormous challenge in the rising competition from the increase of mobile phone accessories retailers market with many mobile phone accessories retailers folding. The popularity of smartphones has increased the demand from mobile phone users for large-capacity memory cards and batteries as well as smart phone devices such as headsets. battery, chargers, Bluetooth headsets, memory cards, card readers and other mobile phone accessories. To break the bottleneck, modern businesses are looking at the innovative 020 (Online to Offine) business model. The use of 020 is no longer limited to online and Offline business model and chain. The rise of countless new ventures has become a hot spot for the new economy. Future enterprises must have the management capabilities of handle both online and offline and also multiple channels. 020 is not just a reform of sales methods, it’s an innovative business model. In the future, every enterprise must have the ability to manage its sales business online and offline. In order to solve the dilemma that the industry originally faced businesses must rethink and reform their business model with Internet thinking. Traditional business models will still encounter the same offline problems once they go online. Companies will have to break all the rules that have long been used by industry to overcome existing limitations. Therefore, in addition to the model innovation of the sales model, it is necessary to take advantage of the opportunities brought by mobile network technology to innovate the business models. Hoco. Malaysia’s establishment of a complete merchandise supply system and the introduction of the 020 business model will change the traditional diversified of the past, allowing operators to experience “savings” after “savings” while easily making money. The mobile phone accessories retail industry to face a major disruption. The online and offline integration to open the 020 ni-channel retail model is a new reality for all traditional mobile phone accessory retailers. The traditional retail industry is still the world of offline. However, with the rapid growth of e-commerce, the proportion of online retail es has gradually increased, which has changed the industrial environment for online and offline. 020 is not just a sales pipeline, but a new and innovative retail business model, that combines a branded franchise store, digital online store, social media and mobile marketing.